You are here: Home / Nootropics / Do Nootropics Work? Nootropics feature a variety of different ingredients. However, not all ingredients declared under the nootropics category truly work. It depends on the quality of the ingredients. Science has not yet identified the exact mechanisms of action behind nootropics in enhancing cognition. Effective nootropics boost certain naturally-occurring bioactivities. Do nootropics work? Let’s find out in this review. Do Nootropics Work Better Than Smart Drugs? Not all nootropics are drugs. This comparison may seem unmatched since smart drugs serve their own purpose in treating certain mental issues. However, nootropics have a proven track record of supporting or even improving brain health and function with fewer side effects than smart drugs. This is the main reason why nootropics are better and safer overall. Smart drugs are treatments for various mental illnesses. They are not psychoactive drugs that will make you high. In addition, smart drugs will not enhance your cognitive function to make you become an instant genius. Most of these are prescription-only drugs. Unfortunately, healthy people abuse smart drugs because they think these can significantly enhance brain function just as the name suggests. On the other hand, nootropics may offer cognitive enhancement without the side effects and other drug-related risks. 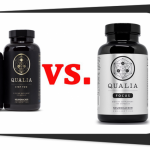 If you want optimum brain health and a sharp mind, nootropics will be the best choice. Natural nootropics also work well and are a lot safer than their synthetic counterparts. Nootropics are dietary supplements, not drugs. They don’t cure mental disorders unlike smart drugs. However, nootropics ameliorate symptoms of certain brain disorders. If you want to enhance your cognitive function, maintain brain health, and improve your way of life, nootropics will fit your needs. 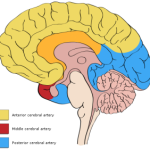 Nootropics have a variety of effects on the brain. The effect depends on the kind of nootropic supplement you consume. The intensity of the effects may vary per person. Numerous clinical trials have enumerated the effects of nootropics. Let’s break them down further. The brain can also get exhausted with our daily activities and stress. Lack of sleep and poor blood circulation are the most common causes of low brain energy. Nootropics can help increase brain energy and ward off mental fatigue especially during stress. 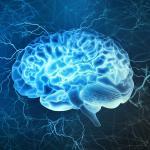 Nootropics may provide proper nourishment for the brain which it can convert to energy later on. Increasing brain energy may enhance attention, learning speed, alertness, and focus. Ideal nootropics for brain energy are MCT oil, citicoline and Panax ginseng. Neurotransmitters are chemicals that help the communication of neurons within the brain. Nootropics modulate four neurons: acetylcholine, dopamine, serotonin, and norepinephrine. These neurotransmitters must maintain certain levels for normal brain function. However, there is no single nootropic ingredient that modulates all of these at once. This is when stacking nootropics becomes necessary to achieve multiple effects. Here is a table to help you understand neurotransmitter modulation by nootropics. The brain experiences exposure to harmful free radicals and toxins which may eventually impair proper brain function. Constant supply of antioxidants might suffice to delay or ward off certain neurodegenerative disorders. You can find these antioxidants in certain nootropics such as Vinpocetine, DMAE, and SAMe, to name a few. Proper blood circulation to the brain ensures proper antioxidant transport. The brain needs a lot of oxygen to function properly. The blood is the prime supplier of oxygen. Nootropics can improve blood circulation in the brain, which, in turn, keeps other health issues at bay. The ideal nootropics for good blood circulation in the brain are Ginkgo biloba and citicoline. Our cells go through a cycle of damage and repair. The same goes with our brain. However, our brain takes more time to regenerate and repair itself than organs in the body. Neurogenesis is the process of brain cell regeneration. Nootropics provide nutrition, energy, and stimulation for healthy neurogenesis. Lion’s mane and phosphatidylserine (PS) are the best nootropics for neurogenesis. 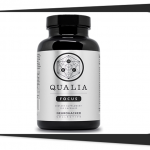 These nootropics will help you age gracefully with lower risks of cognitive decline. 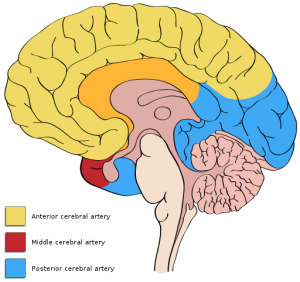 The brain also experiences stress whether it is emotional, psychological, or physical in nature. Stress has a huge impact on brain function because not only does it negatively affect health of internal organs, but it also affects cognitive function. Nootropics may act as an adaptogen for the body and brain. They help minimize the stress response of the body so that it does not affect cognitive function and memory. Adaptogens which also act as nootropics help the brain focus despite the different stressful events encountered. Rhodiola rosea and Bacopa monnieri are great examples of adaptogens for the mind and body. The brain constantly experiences exposure to toxins, stress, alcohol, pollution, certain drugs, and many more. All of these may disrupt normal brain function or ultimately damage brain cells. Nootropics protect the brain from these factors. Many people fear neurodegenerative issues since they have links to signs of aging. However, you can delay neurodegenerative issues – if not entirely offset- by the use of nootropics that offer neuroprotection. Good examples of nootropics for neuroprotection are pterostilbene and ubiquionol. This is primarily because of nootropics causing brain wave modulation. One can read brain waves as alpha, beta, delta,and theta. An increase in alpha frequency of brain waves will promote focused relaxation. EEG (electroencephalogram) tests evaluate these results. Clinical trials have proven nootropics positively affect the alpha frequency using EEG. The best nootropics for focused relaxation are oat straw and l-theanine (an amino acid which you can find in many pre-workout formulas). 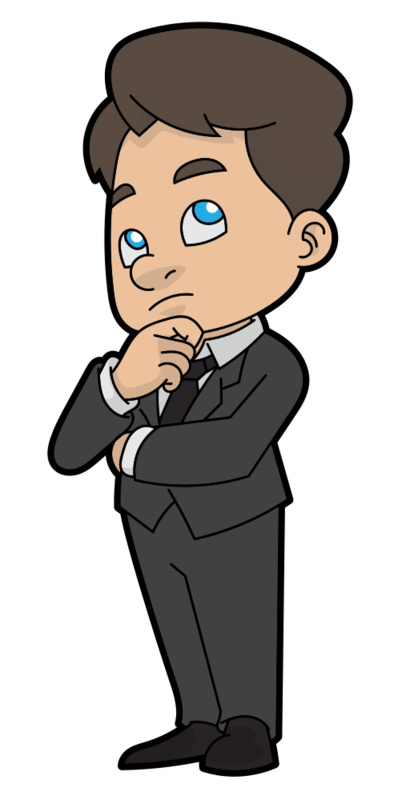 The Verdict – Do Nootropics Work? Yes, nootropics are effective. They improve brain health and function in their own ways. However, keep in mind that different nootropics have different mechanisms of action. It is important to identify the nootropics that will work well together if you prefer to make your own stack. Following the recommended time of intake is essential in experiencing the full benefits of nootropics. It is never ideal to take any form of nootropic before bedtime. Do not exceed the recommended dosage of any nootropic to ward off any potential side effects. Increasing the intake of any nootropic will not amplify its effects. Nootropics work, but you must keep in mind that some nootropics work differently depending on the age of the user. 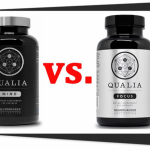 This factor is essential in choosing a nootropic for you. Nowadays, there are several pre-made nootropic stacks in the form of dietary supplements. In general, natural nootropics are better options since they have the least number of potential side effects. However, you must always look for quality ingredients and steer clear of fillers (for more information, check out our How to Buy a Good Supplement guide). On that note, you can find a quality brain-boosting product in our Best Nootropics Supplements 2018 Edition. Malik R et al. Towards better brain management: nootropics. Curr Med Chem. 2007;14(2):123-31. Froestl W et al. Cognitive enhancers (nootropics). Part 3: drugs interacting with targets other than receptors or enzymes. disease-modifying drugs. J Alzheimers Dis. 2013;34(1):1-114. doi: 10.3233/JAD-121729. Ihl R et al. Nootropic drug evaluation for general practice Nervenarzt. 1997 Nov;68(11):853-61. Voronina TA et al. Nootropic preparations, the achievements and new problems Eksp Klin Farmakol. 1998 Jul-Aug;61(4):3-9. Noor Azuin Suliman et al. Establishing Natural Nootropics: Recent Molecular Enhancement Influenced by Natural Nootropic Evid Based Complement Alternat Med. 2016; 2016: 4391375.